Robyn Vilate: dry clean only. I hope you're all ready for a fun weekend! TGIF! Great look! 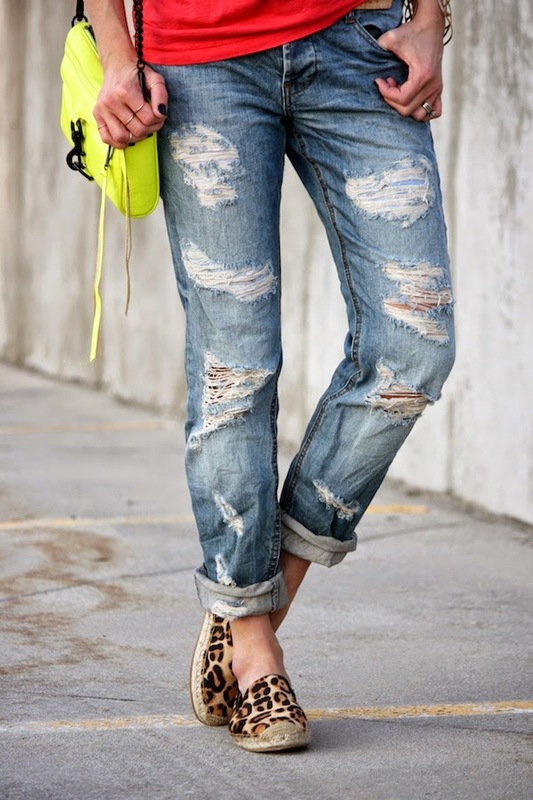 Love the distressed denim!! This is a perfect Saturday taking it easy outfit! I love love love those leopard print flats! Those jeans are perfect! The tee is super cute too. Love this look!